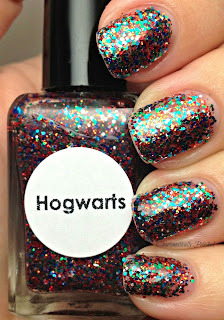 Today's review is on another of Lac Attack's Magical Musings Collection, Hogwarts. 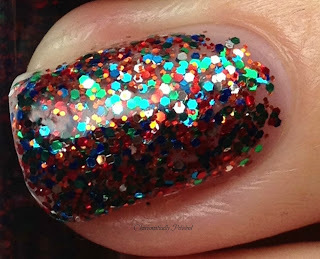 Hogwarts is a clear base, with red (Gryffindor), green (Slytherin), blue (Ravenclaw), orange (Hufflepuff) and silver (Hogwarts itself) glitter. 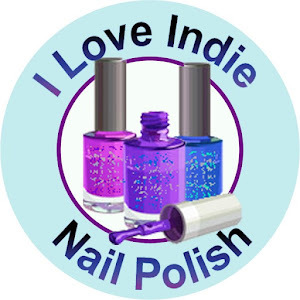 This is three regular coats with a top coat (sorry for the tip shrinkage, damn top coat) and let me tell you, there is no fishing for glitter in this bottle my dears! 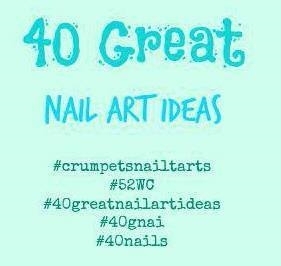 As you cans see, Hogwarts can be used solo or layered over other polishes. 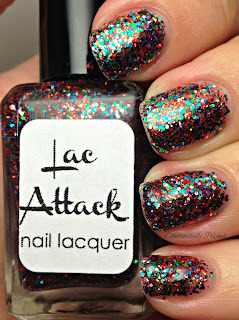 Lac Attack can be found on online at their store here and on Facebook here.